At first glance, it would appear that the concept of telecommuting is a new one. But the history of remote work has deep roots, spanning several generations! 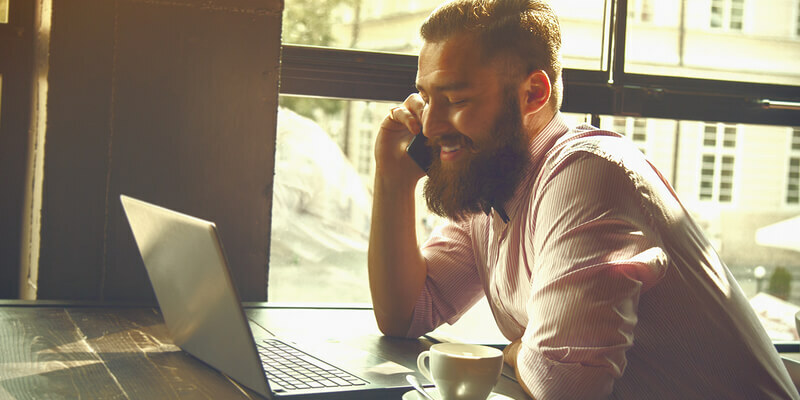 These five fun facts about remote work might be eye-opening—and just might inspire you to look for a flexible job, too! 1. Working from home is an ancient concept. From hunter-gatherers to the first farmers, home was not only where the heart is—it was where the work was done, too. People lived and worked in the same living space to improve life for their tribes/families. 2. Industrialization didn’t detract the work-from- home movement. While industries blossomed during the Industrial Revolution, it didn’t stop craftspeople from continuing to work from home. These pre-Etsy artisans would create their goods and offer their services from shops that often served as both a store and, in the back or above the main floor, as a living space for their families. 3. Environmental issues helped to pave the way for modern-day remote work. By far, telecommuting is one of the greenest ways to work. Back in the 1970s, the clean air movement, gas shortages and high fuel costs inadvertently created a platform for remote work. And for workers who were environmentally aware, it helped create the case for people to start working remotely—and of course, save Mother Earth, too. 4. Telecommuting has gone from a work perk to common practice. In just ten short years (2005-2015), telecommuting has increased by 115%. Numerous studies have shown that workplace flexibility outranks salary as job seekers’ number one criteria in considering a job. As more people demand flexible working options, the workplace will only continue to respond in kind, since more companies are staffing remote employees. 5. Companies are now adopting flexible work policies. While some companies have been hesitant to have an official flexible work policy, others have seen the benefits and are openly singing the praises of flexible work—for both employer and employee. After all, when Fortune 500 companies such as Dell, Aetna, Amazon, and American Express are all allowing employees to have flexible schedules (and are thriving! ), it’s easy to agree that telecommuting and flexible work options are advantageous to all.